NavSea concludes a week of deployment training for sailors operating its unmanned underwater vehicle (UUV)1 Sea Glider (Seaglider and Remus2) variants3. 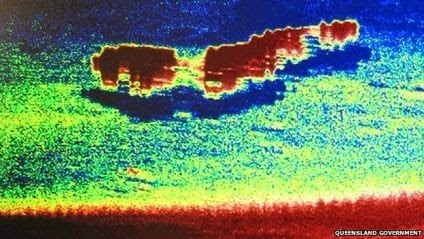 These UUVs form a developing and potentially beneficial network of ubiquitous autonomous undersea nodes4 for real-time data collection and analysis. If these data collection nodes are operated transparently they'll credibly benefit our nation and global commons. Article contains other images, including of a commemorative plaque attached to the torpedoed ship. REMUS will likely soon begin scanning the remote Indian Ocean seafloor searching for Flight MH370 debris. 1. Also referred to as autonomous underwater vehicles (AUVs). 2. Hydroid, a small subsidiary of Kongsberg Maritime, manufactures Remus and is a leading manufacturer of AUVs. 3. 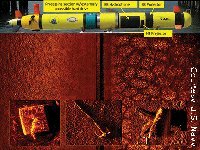 Other AUV, UUV, ROVs (Remotely Operated) and Towed vehicle variants exist limited only by mission profile (e.g. Air France Flight 447 search), imagination and available funding (e.g. Slocum, Spray, Hugin [video] Seabed, Kiel, and Towed etc). 4. UPDATED 12/06/2013 There are an increasing number of DIY groups contributing to serious ROV kits (e.g. OpenROV).